Input text: the gazelle. the 100% dark shadow plane. 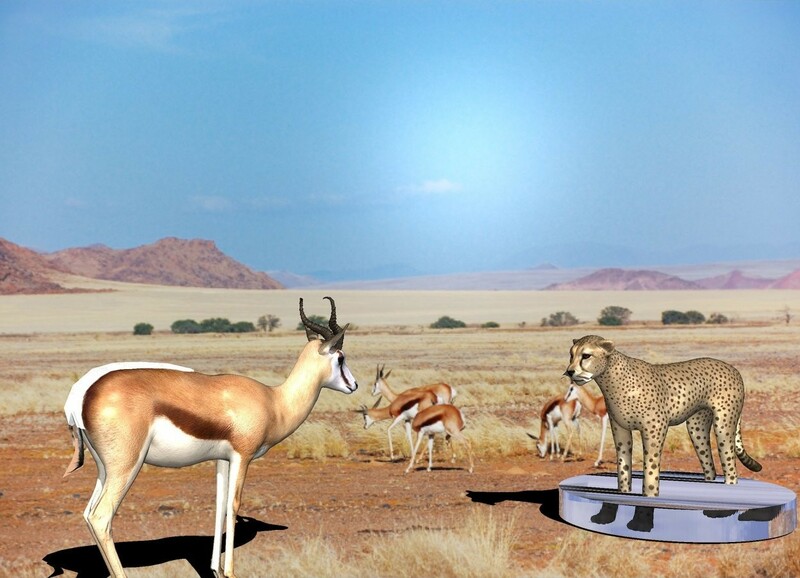 The cheetah is 4 feet in front of the gazelle. the 6 inch tall glass cylinder is -4.5 feet in front of the cheetah. it is 4 feet wide. the cheetah is facing north.